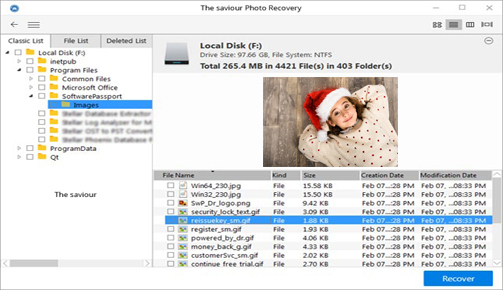 The Saviour Photo Recovery Software recovers lost and deleted photos, images, songs, movies, and other multimedia files from PC, Mac, SD Cards, Memory Cards, Camera, Pen Drive, and other external storage media. This utility has the 'easy-to-operate' media selection option. 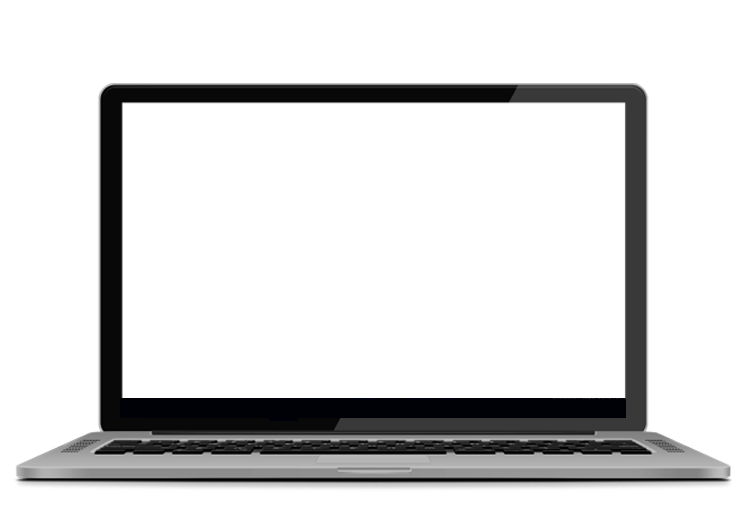 Its user-friendly interface allows the user to conveniently select the required drive or media to be scanned for deleted items. 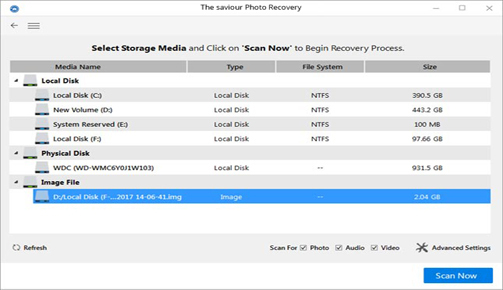 The Saviour Photo Recovery performs a smooth scan over the selected media and provides various options to preview the scanned files. You can see the preview in three different file view options. 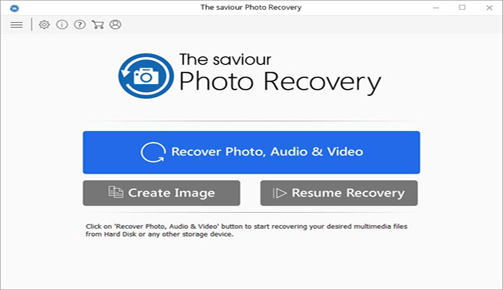 The Saviour Photo Recovery Software seamlessly recovers photos, songs, and videos from corrupt or formatted internal and external storage media. 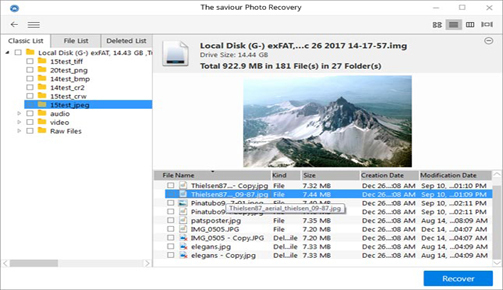 The Saviour Photo Recovery Software is a smart, advanced, and user-friendly tool that recovers your lost photos, videos, and multimedia files from PC and Mac Systems, memory cards (all make/model), digital cameras, and external storage media devices. The intelligent preview option of the software enables you to have a quick look at the recovered multimedia data before recovery. The Saviour Photo Recovery Software supports Hard Drives, Memory Sticks, IBM Micro Drive, SD Cards, MMC Cards, XD Cards, Secure Digital Cards, Zip Disks, Mini Disks,to name a few. 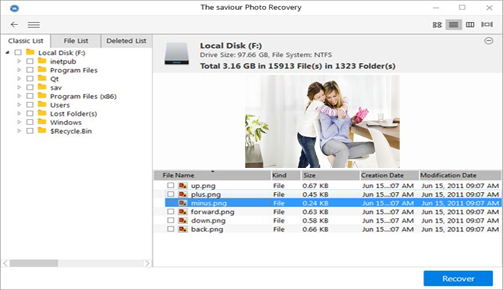 Recover all your lost or deleted photos from any PC or Mac system based storage media. Some of the most commonly used image formats supported by the software include BMP, JPEG, GIF, TIFF, Mamiya (MOS, MEF), Paint Shop Pro Image File (PSP), and Picture File (PCT). 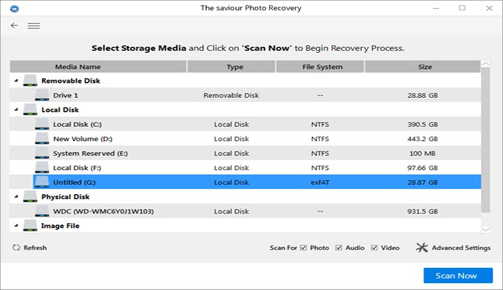 Get back your seemingly lost photos and other multimedia files from any corrupt or formatted Memory Card, Flash Card, SD Card (Mini SD, Micro SD, SDHC Card), CF Card, Mini Disks, or any other Memory stick. 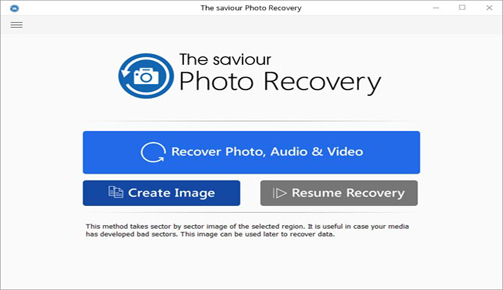 The Saviour Photo Recovery Software helps you successfully recover photos and images even after you have lost them due to formatting of your SD card, memory card, or hard drive without taking a backup or creating an image of the drive. This software recovers all your deleted photos from the Digital Camera of any make/model. 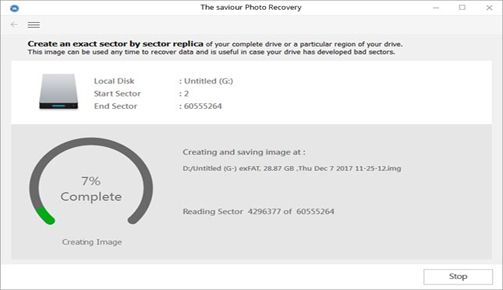 It supports RAW recovery of pictures from all major digital camera brands such as Sony, Nikon, Canon, Samsung, Pentax, Minolta, Kodak, Sigma, Fuji, Olympus, Epson, Mamiya, and Panasonic. Preview and recover any of your lost/ deleted/ inaccessible video files without compromising on their visual quality. The video file formats supported by the software include MP4, 3GP, AVI, MPEG, MKV, DIVX, MOI, VOB, OGM, 3G2, ASX, MTS, AJP, F4V, VID, TOD, HDMOV, MQV, SVI, ASF, MOV, SVI, M4V, DV, M4B, VOB, MOI, WMV video file formats, to name a few. Recover your songs, music compositions, or any other lost audio file. The audio file formats supported by the software include RPS, MP3, AU, WAV, MIDI, OGG, AIFF, RM, WMA, RA, M4P, M4A, ACD, AMR, AT3, CAFF, DSS, IFF, M4R, NRA, and SND files. Just wanted to send a thank you note to your company for having a product that works so well. We had taken some friends to the Disney World in January and the SD card they had in their camera stopped working, and they thought they had lost all their photos of the first few days of our trip. 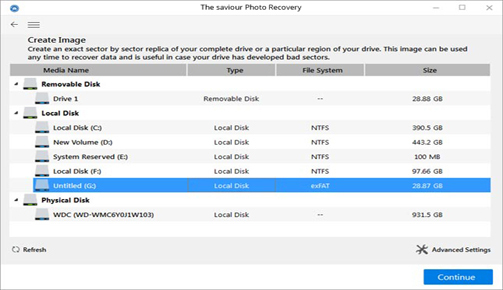 Fortunately, after searching the web for help, I came across your Photo Recovery product and it worked wonderfully! It recovered all the photos on the card. Thanks for saving our memories! I would definitely recommend this software! Just wanted to send a thank you to your company for having a product that worked so well. We had taken some friends to Disney World in January and the SD card they had in their camera stopped working and they thought they had lost all their photos from the first few days of our trip. 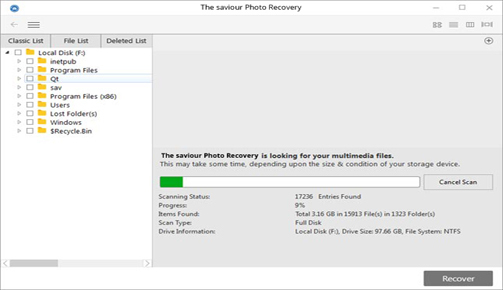 Fortunately after searching the web for help, I came across your Photo Recovery program and it worked wonderfully. It recovered all the photos on the card. Thanks for saving our memories! I would definitely recommend this software.